I will write a book! – Inspiration and confidence boost! I have spent today getting on and I spent this evening being inspired, so all in all a productive day. I spent a few hours this evening working at our Postgraduate Open Evening and for me it was that bit more exciting as these people may be my classmates next year when I undertake MA. I’ve always found my lecturers to be very inspirational, I know I sound like a geek but if I’m honest I don’t care. The lecturers are all incredibly smart and brilliant with their specialties. Studying English Lit has just made this passion burst out of me and the only other thing that has ever done that is music (more on that at a later date), I love them both but I know that after this year I’m not ready to stop studying. I feel like there is so much more to do, to read and to explore and tonight talking to lecturers in Literature, Language, Creative Writing and Publishing and there was just a buzz I felt, I know that if I can’t be a musician for a living this was the next best thing. If all that wasn’t enough to get me hyped up about finally sitting down and getting my book finished then what I came home to was. If you follow my blog you may remember that I met a great friend at YA book club last month, Becky. I came home to the news that she has published her novel on Amazon! I’m so proud and excited for her and if you’d like to take a look and buy her novel (which you definitely should) then you can click here and if you’d like to follow her on Twitter head to @Becky__Willson. Becky may only be 17 but I see big things coming for her and I’m so proud to be able to call her my friend :3. 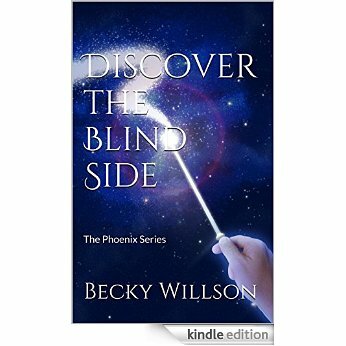 The cover for Becky’s novel, isn’t it pretty! I’m lucky to have such amazing people around me and I now that a lot of people don’t have that. From now on I’m going to be working on my novel and hopefully one day I’ll be able to release it. I’m currently writing a Young Adult novel about a character called Ava and her complicated family life, friends and general life as a teenager. I know that’s not much to sink your teeth into yet but it will be! I promise! I just don’t want to give anything away yet until I’m sure myself. Finally I’ve got some confidence back in me, some positivity and some great things planned and I honestly can’t wait! As always tomorrow will be another book review, 15 Reasons Why by Jay Asher.